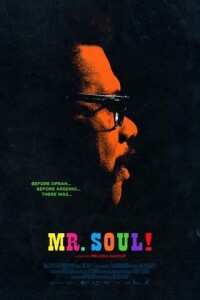 Before Oprah, before Arsenio, there was Mr. Soul! On the heels of the Civil Rights Movement, one fearless black pioneer reconceived a Harlem Renaissance for a new era, ushering giants and rising stars of black American culture onto the national television stage. He was hip. He was smart. He was innovative, political, and gay. In his personal fight for social equality, this man ensured the Revolution would be televised. The man was Ellis Haizlip. The Revolution was SOUL! The movie The Mercy is a British biographical drama film, directed by James Marsh and written by Scott Z. Burns.